Samsung was forced to get into defensive mode again last week, when Italian authorities launched an investigation against it, as well as against Apple, for potentially slowing down older phones in order to force consumers into buying new ones, the so-called "planned obsolescence" in legalese. While Apple may have had a perfectly good reason to do it, given that iPhones with older, weaker batteries, may go into shutdown mode at certain peak power demand scenarios, it doesn't really make sense in the case of Samsung, which sells many millions more of cheaper midrangers and low-end phones anyway. Still, the Italian watchdog is pressing ahead, forcing a Samsung spokesman to react: "There is nothing to say regarding the probe. As we previously announced, Samsung did not slow down older models with software updates," they said. 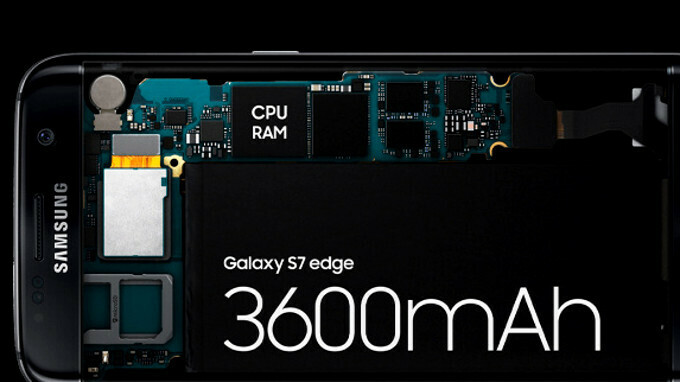 Indeed, Samsung and LG came out almost immediately after Apple issued an explanation about the older iPhones' battery and performance linkage, and declared that it doesn't have the same practice. Yet here they are again, forced to reiterate that claim, as the issue is apparently not going away in the eyes of local authorities. "While Apple may have had a perfectly good reason to do it, given that iPhones with older, weaker batteries, may go into shutdown mode at certain peak power demand scenarios, it doesn't really make sense in the case of Samsung, which sells many millions more of cheaper midrangers and low-end phones anyway." "A perfectly good reason for Apple"...."Doesn't really make sense for others". Yeah right. Except Samsung also sells plenty of high-end phones, which it could make sense for. Nice to know it's not doing that though. Looking at your owned phones I can say you are a BIG Samsung fan. Why you like to suffer like this and live this great pain and buy again and again Samsung phones. Are you a liar? Have you ever see one of the Samsung phones that you said that own them? You know, usually updates makes Samsung phones faster. If buying the best phones on the market is suffering, I guess most of us likes to suffer. I'd hate not to suffer, being stuck with legacy hardware on new devices. Ah I guess you've never used a faster device. With Android, you can tune the processor with a custom kernel and never worry about slowdowns. We just need the ability to unlock the boot loader and root the phone from the manufacturer. It's the opposite, they make it faster with software updates, the Oreo update on the S8 made it much smoother and it's still in beta. Yep, updates with Samsung just make them faster. I have never had a update screw up my Samsung. Know a person that updated his iphone 2 or 3 days ago and now his phone doesn't work at all and apple told him to bad you will have to buy a new phone. My company-issued 6s updated and basically became a useless paperweight. About 5 hours of total battery and laggy. Mine has been sent for replacement. So far, the IT guy told me they're having a lot of them replaced now. This request from the Italian authorities was obviously made to underline they're not being biased against the liars at Apple. Too bad bloggers needs to spin this into "Apple were in their rights unlike everybody else", even though Apple is the only known brand who actively slows down phones and remove features with "updates". “...While Apple may have had a perfectly good reason to do it...” I can hear people yelling F... you, after reading above line. Samsung to Italy : "We rarely update our phones"
I have a Samsung Note 3. Still using original battery and i still get a whole day out of it. Amoled display and all that crap. A replacement battery is $17. Has'nt slowed at all. Dunno what these iphone people are always on about. They are only now, 4 years late getting features ive had on my 2013 phone.